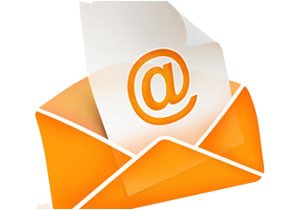 E-mail marketing is often an underused method of advertising your business. It is the modern day equivalent of a leaflet drop, posting details of your business straight to the inboxes of thousands of potential customers. We all receive dozens of marketing emails each day that we immediately dismiss. They get deleted because they are poorly written, contain spelling errors or are just generic 'SAVE £££s!!!' type messages. The key to a good sales e-mail is making it personal, interesting and relevant. To do this, we employ a professional writer to create an e-mail that will attract customers to your business, using subtle calls-to-action and relevant information which they will find useful. Once created, we send this message to you for you to check it over and once approved, we start mailing out the message to the chosen recipients. Sourcing the e-mail addresses of your potential customers ifs crucial and we can do this in various ways, depending on who you would like to target. If you're a small, local business then we can gather the e-mail addresses of businesses within your area. We can source the e-mail addresses of businesses in a particular post code or businesses that use a particular area code in their telephone number. You may prefer to target businesses across the country, perhaps all members of a particular online business directory (e.g. Yell.com). If your product or service would be of particular interest to schools and colleges, we can create an up-to-date list of schools across the UK. Once we have sourced a good list of addresses and created the perfect message, we start e-mailing this out over the course of a few weeks or months, depending on the number of people you are trying to reach and how quickly you can deal with new enquiries.